Holly Holm, 29 years old is a famous name in the field of Boxing. She is considered to be one of the best female boxers in the Welterweight division of boxing. To know more about her biography and profile, check this Holly Holm wiki article. Holly Holm, born on the 17th of October, 1981 is a professional Boxer from the United States. Her height of 5 feet eight inches towers her over most of the opponents whom she faces in the ring. No one thought that a preacher's daughter growing up in the Bosque farms would grow into a boxer and make it big in there. But Holly Holm definitely proved everyone wrong. Holly had always loved sports. Before moving into boxing she had tried other sports such as swimming, soccer, gymnastics, diving and kickboxing. Boxing just happened to her as an accident. It wasn't boxing but rather kickboxing that made Holly known as a force to be reckoned with. She even won a national amateur kickboxing championship held in Kansas City. 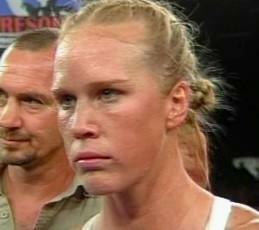 Holm first entered the professional circle of boxing in the year 2002. Her debut fight was with another new come debuting boxer named Martha Orozco. Everyone was amazed when Holly won the fight by TKO in the third round. In her second fight, she battled with Terrie C Carillo, who was making his debut. He again defeated him in the first fight itself through TKO. Her splendid performance in every game brought her into notice. She performed continually well even in her later years of her career by knocking off her opponents earlier and earlier in every game. According to Holm, Boxing came really easy to her. She could fight off the greatest players including the team of her opponents quite easily. Practice was the watch word for Holm as stated by Holly herself. Presently she holds the record of 25 total fights, 22 wins with 6 knockouts and 2 draws.